See sea otters frolick in Alaska or tufted puffins in the Pribilof Islands. Observe game gathering at the waterholes of Namibia and Kenya. See the wonders of the natural world with knowledgeable guides. 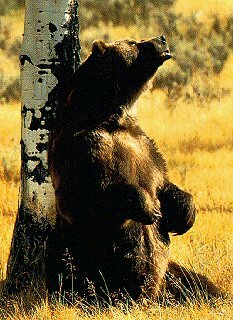 Travel picture of Bear gets a scratch from a birch tree.